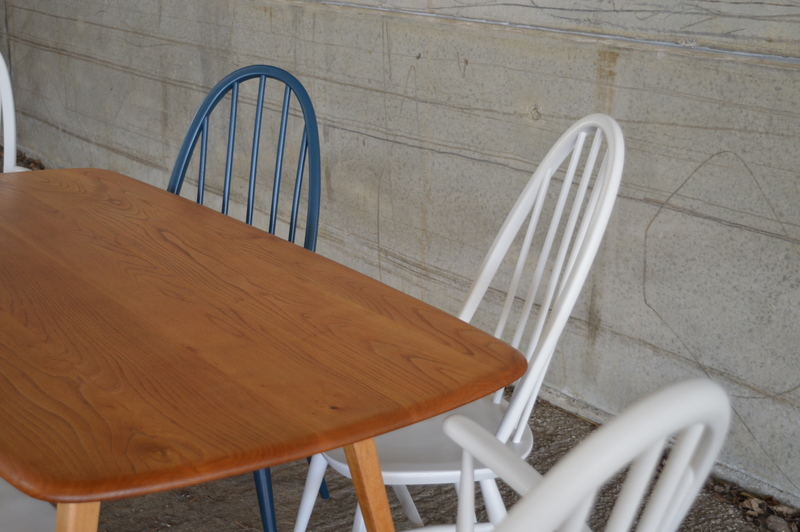 As Ercol restoration specialists, a question we are often asked is, “why do you hand finish all your pieces with a wax/oil blend, rather than sprayed lacquer. It’s a perfectly reasonable question that I have tried to answer in this blog. I think that the advantages of an oil/wax blended finish over lacquer become clear when you compare various aspects of the two finishes. Look and feel. Wax/oil finishes are dissolved in a solvent (white spirit in our case). When they are applied two things happen. The oils are absorbed into the wood and , as the solvent evaporates, a thin film of wax remains on the surface. This means that both the look and the feel of the wood are enhanced. In contrast, a lacquer finish puts a thick protective coat over the wood, reducing the “feel appeal” – run you hand over the piece and you can only feel the thick layer of lacquer. Long term durability and repair. Both finishes will last a long time but there is a crucial difference. A wax/oil finish can be easily reapplied at any time; the piece can be “freshened up” and minor repairs can be effected – even many years after the finish was applied. In contrast, a lacquer finish can’t be effectively repaired – the only practical solution is to remove the finish entirely and start again. Wear and tear. The protective coat of lacquer is undoubtedly hardwearing and provides good protection against most day to day hazards, including heat. However modern wax/oil combinations, using hard waxes, are also extremely durable and will cope with all the day-to-day hazards of normal home life. So, if as seems clear there are considerable advantages in an oil/wax finish, why do manufacturers use lacquer finishes? The answer is simply one of cost. To work well a wax/oil finish must be applied by hand and to get all the benefits of look and feel the wood must be sanded to a very fine finish. This is a time consuming and labour intensive process. Compare this with a sprayed lacquer finish which can be applied in minutes on a production line and the practical benefits of a lacquer finish are clear. But nothing beats the beauty of hand finished furniture.